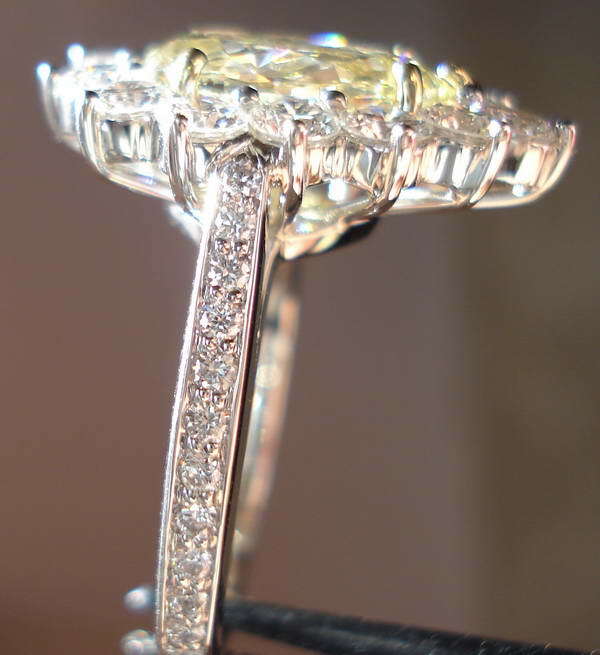 This item has a starting price of $4900 with diamonds purchased from Diamonds by Lauren. 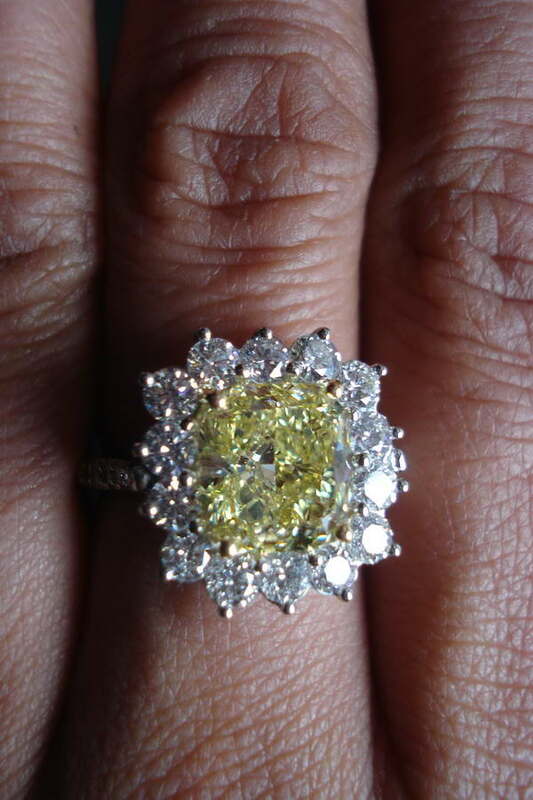 We will be happy to make this ring for any diamond of your choosing. 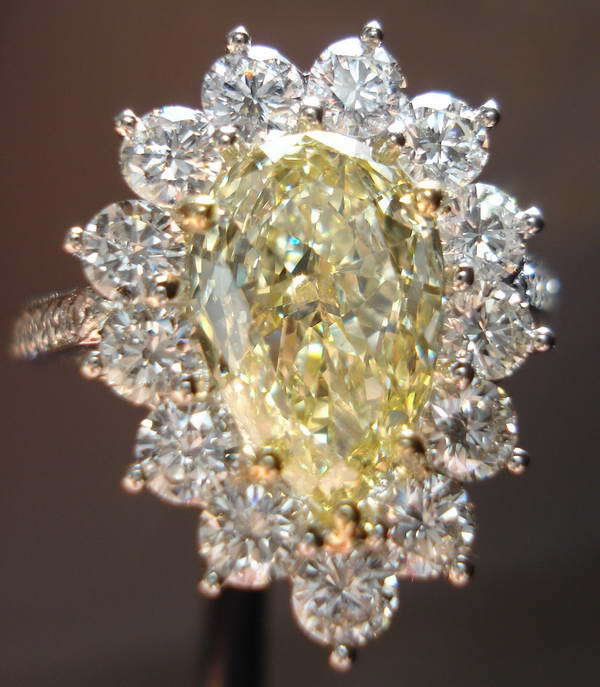 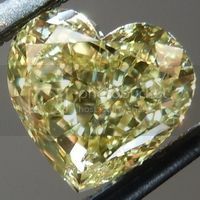 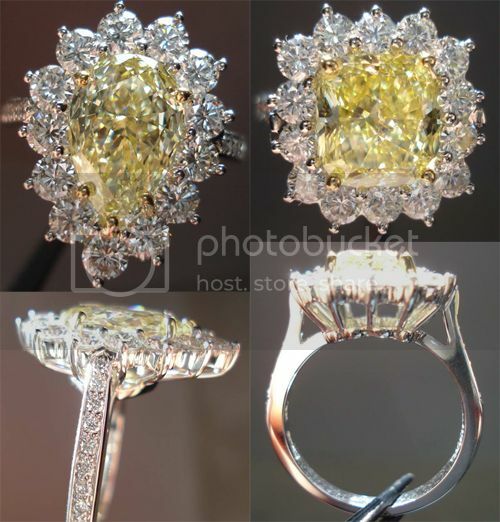 As shown with a 2.25 Fancy Yellow SI1 Pear Shape Diamond (not included in the price of the listing). 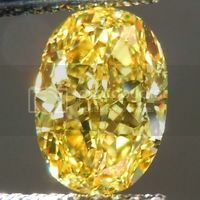 On this particular example, the setting has 13 E-F VS round brilliant diamonds set in the halo for a total weight of 1.43cts and 22 round brilliant diamonds set into the shank of the ring for a total weight of .26cts. 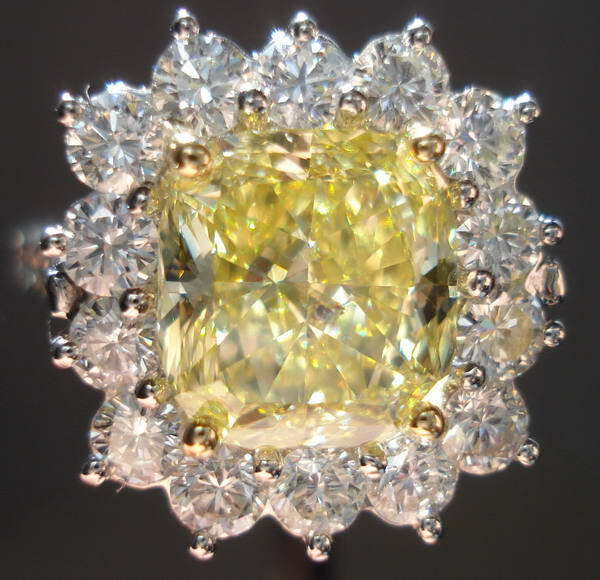 We call this the "Princess Ring" because it looks like the type of thing one would wear on coronation day. 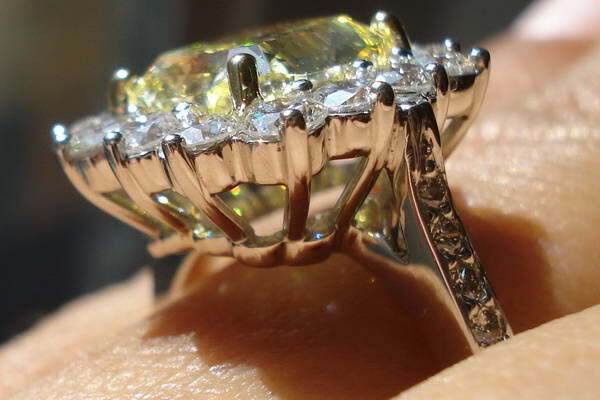 This is not a shy design, in any way shape or form. 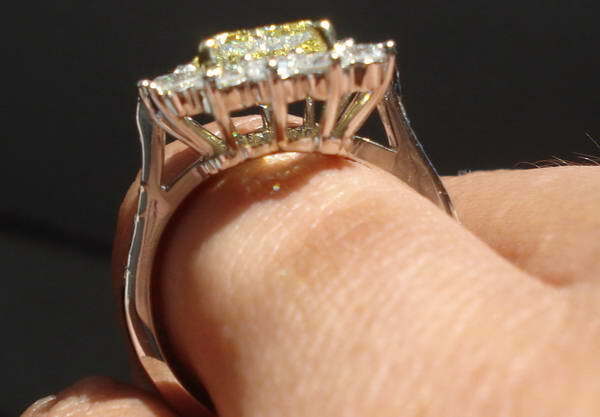 It's an incredibly stable and practical to wear design, but it's flashy as the dickens. 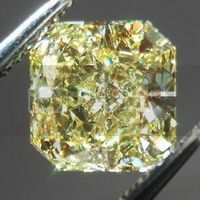 The diamonds go far enough down the sides to appear as an all the way around- but we generally make them with a "bare" metal portion at the bottom. 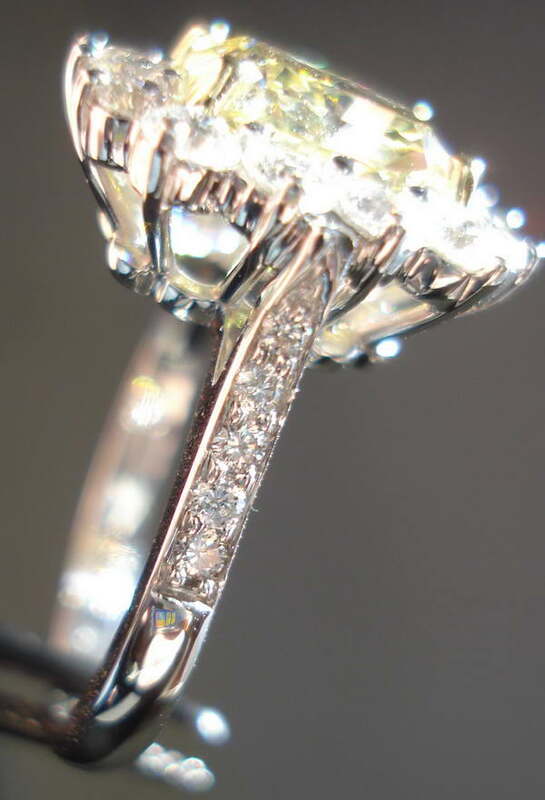 Diamonds all the way around are certainly an option, if you wish! 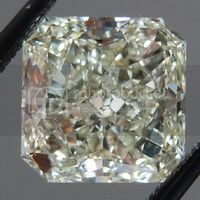 We use carefully selected, extremely well cut, high color, VS round diamonds. 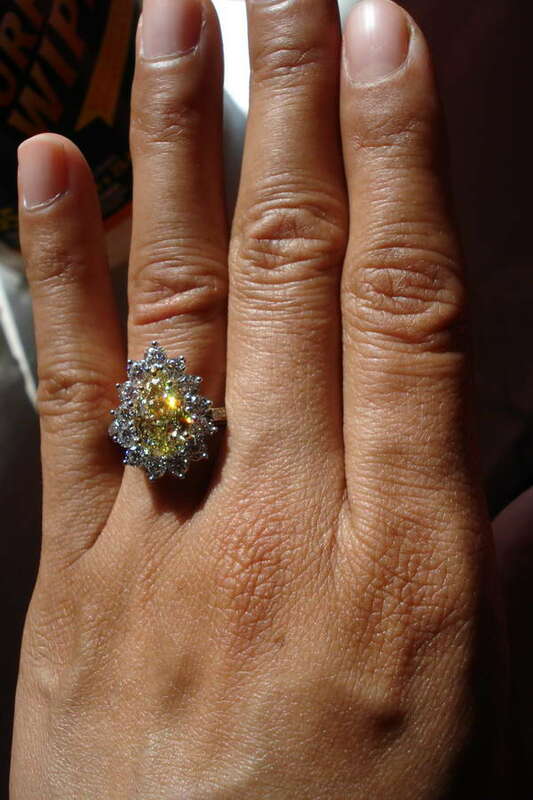 It shows. 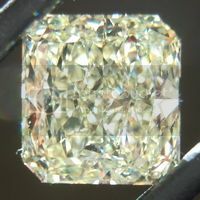 The larger round diamonds on this particular version totaled 1.43cts which means .11ct average each. 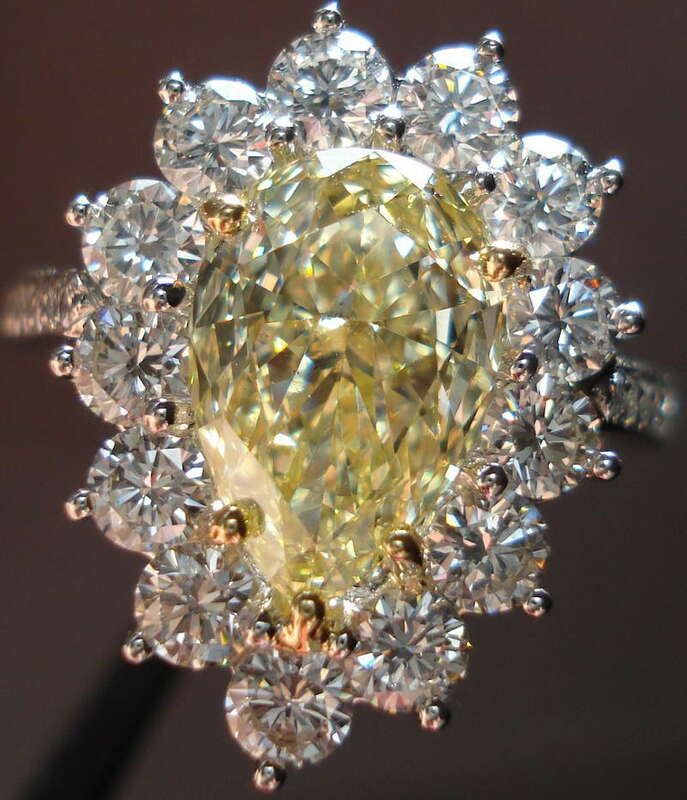 The prongs holding the center stone are practically invisible- which is a feat considering it's a pear shape- and you have the point to consider. 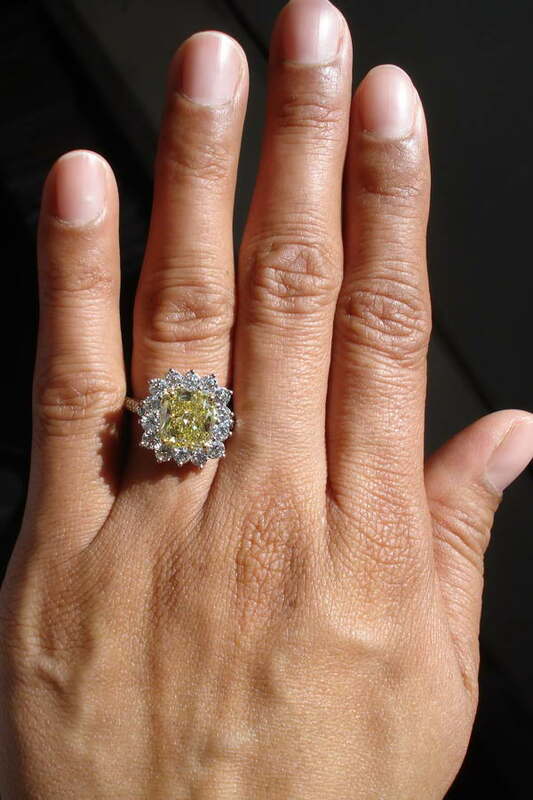 It's totally protected, in a totally discreet manor. 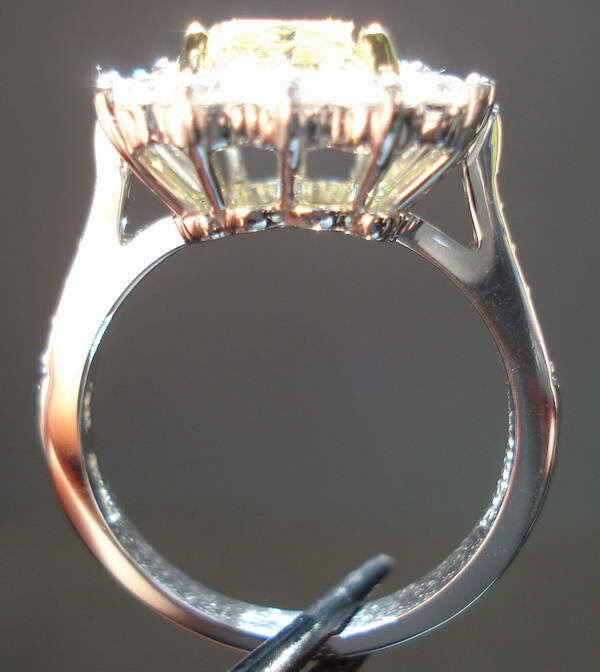 The prongs can be done in platinum, or 18kt yellow or rose gold. 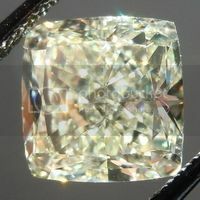 As shown with a 3.02 Fancy Intense Yellow SI2 Cushion Cut Diamond (not included in the price of the listing). 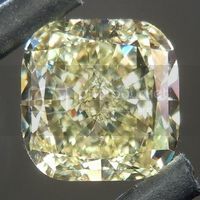 On this particular example, the setting has 14 E-F VS round brilliant diamonds set in the halo for a total weight of 1.17cts and 10 round brilliant diamonds set into the shank of the ring for a total weight of .13cts.